In 2014 Electric Boilers Company welcomed an efficient alternative to replace your standard gas combi boiler. In this day and age one wonder’s why we are still dealing with the hassle gas boilers entail. 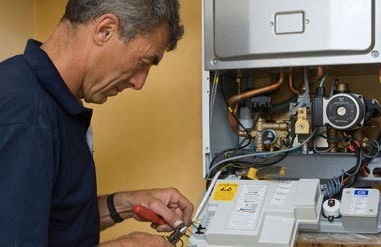 The flue, the carbon monoxide, the condensate, having to call a plumber who is gas safe certified, having to replace numerous parts, diminishing efficiency … all these need not be a problem anymore. Using electricity to fuel your boiler makes way for a much cleaner and smarter method of heating and providing hot water in your house. Our Elektra electric combi boilers work exactly like gas combi boilers, with an instant delivery of hot water. However, no gas is being burnt therefore there is no Carbon Monoxide (CO), no flue, no condensate, no need for a gas safe certificate and a yearly service is not required. Our boilers have no flue and are completely silent, therefore these can be installed anywhere in the home that a 10mm cable is within reach of. They have much fewer parts, which means there is less to go wrong and therefore less to replace which in the long term saves you money on replacing parts. Elektra boilers can also be integrated with solar PV panels, which allow the user to be self sufficient in providing their own electricity. The boilers run on 12 kW and have the ability to modulate down in energy usage consequently saving the user money due to less running costs and 99.9% efficiency. Electric boilers Company are taking the industry forward, to a more efficient and simple era of providing heating and hot water in your household. Heating your home does not have to be complicated, nor does it have to cost you an arm and a leg.